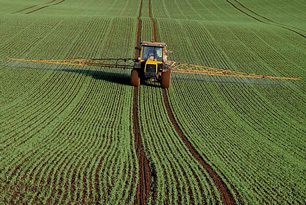 Glyphosate arrives in drinking water primarily through agricultural runoff. Some people who drink water containing glyphosate well in excess of the maximum contaminant level [0.7 milligrams per Liter (mg/L)] for many years could experience problems with their kidneys or reproductive difficulties. The EPA recommends granular activated carbon (GAC) for the treatment of glyphosate, although Lynntech reports that activated carbon has only a “moderate probability” of removing glyphosate on its own. *Monsanto has also used the trade names Aquamaster®, Gallup®, Honcho®, Landmaster®, Pondmaster®, Ranger®, Rodeo®, and RT 3, and it's known worldwide by even more names.